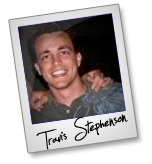 Travis Stephenson – Commission Jailbreak CPA Affiliate Program JV Invite, More. Welcome to the JVNP 2.0 Weekend Update featuring a primary JV request courtesy of fellow JVNP 2.0 Partner Travis Stephenson (Commission Jailbreak CPA Affiliate Program JV Invite), Buzz Builders and More … in Today’s be on the lookout for CPA profits edition. Fellow JVNP 2.0 Partner, good offers are hard to come by… So THIS ONE you need to pay attention to! Travis Stephenson brought the FIRST CPA payout offer to the space and is at it again! Huge CPA payout throughout the entire funnel! Think revshare EPC’s without refunds, chargebacks, or reserves! Commission Jailbreak goes live November 18th and is already a monster! – CPA Payout THROUGHOUT The Funnel! – Over $15,000 in Cash Prizes! – Massive Reciprocal… and more! We all know – testing BEFORE the launch is what makes all the difference right? Well this launch sales letter is already being tested and will have around 25 days of test traffic before the doors officially open. That means MORE BANK FOR YOU! On top of the sales funnel being a work of art, Travis’ products are ALWAYS top notch so you can feel good in knowing that this one is no different. Look – this is as much of a no brainer as you’re going to get this year so make sure you don’t miss out on this opportunity! Tube Traffic Secrets 2.0 is the new version of a proven offer with $8.65 EPC, Low Refunds and now up to $100k in Bonus Cash and Prizes including $50k for the top affiliate. Prelaunch starts Oct. 29th, Cart opens Nov. 12th. Visit JV Invite Page right now for more info! Got a list interested in passive income generation or self-publishing? The Self-Publishers Wealth Summit is an easy to sell product with killer commissions of up to $874 per customer. It’s copy-tested, proven, and one-of-a-kind. Sign up now for our upcoming November 14th launch promotion. Affiliate prizes include trips around the world and more – Don’t miss out! What Do Alex Mandossian, Adam Horwitz, Ty Cohen, Jason Fladlien + Wilson Mattos, Len Wright + Matthew Lutz and Talor Zamir + GoMobile Solutions (Damien Zamora) Have In Common? Peter Garety + Andy Fletcher, Stefan H + Mike S, Ricky Mataka + Chris Farrell, Maria Veloso, Rob Toth, Chad Hamzeh, and other fellow JVNotifyPro 2.0 partners are waiting in the wings … keep your eyes on your Inbox, and follow the action in the JVNP 2.0 Premium VIP JV Announcement archives. Posted in Joint Venture Announcements	| Tagged Affiliate Marketing, Affiliate Program, Affiliate Program Directory, Affiliate Programs, Attract Affiliates, Attract JV Partners, Best Autoresponders, Best Email Marketing Services, Best JV Brokers, Buzz Builders, Commission Jailbreak, CPA, Find Affiliates, Find JV Partners, Home Business, Internet Marketing, Joint Venture Blogs, Joint Venture Forums, Joint Ventures, JV Announcements, JV Blogs, JV Forums, JV Invite, JV Launch Calendar, JV Product Launch Calendar, JVListPro, JVNewsWatch, JVNotifyPro, Make Money Online, Marketing, Mike Merz Sr, New Product Launches, Niche Marketing, Online Business, Product Launch Calendar, Travis Stephenson, Work At Home	| Comments Off on Travis Stephenson – Commission Jailbreak CPA Affiliate Program JV Invite, More.